"GRANDMOTHERS" IS A WET PLATE COLLODION SERIES INSPIRED BY ETHNOLOGICAL INVESTIGATION: IN ORDER TO MAKE PORTRAITS OF MY GRANDMOTHER, I USED OBJECTS MADE BY MYSELF, BASED ON SLAVIC RITUALS AND CUSTOMS.THE USE OF THE UNUSUAL TECHNIQUE STRENGTHENED THE LINK BETWEEN THE ARTISTIC APPROACH AND MY DESIRE TO DIVE INTO MY ETHNOLOGICAL HERITAGE THROUGH REFLECTION ON HISTORY, MEMORY AND TECHNOLOGY I'M TRYING TO MAKE A POINT USING TODAY'S ARTISTIC LANGUAGE—ALONGSIDE OLD PROCESSES—AS A WAY TO EXTEND THE BORDERS OF THE PHOTOGRAPHIC MEDIUM.. 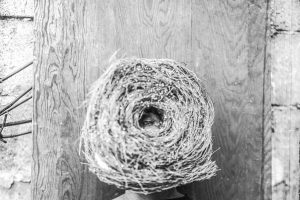 BEYOND PORTRAYING MY GRANDMOTHER, THE MARRIAGE BETWEEN TECHNIQUE AND SUBJECT ALLOWED ME TO ENGAGE WITH THE QUESTION OF HOW WE, PHOTOGRAPHERS, CAN MANIPULATE THE RECEPTION OF A PHOTOGRAPH BY PLACING OLDER TECHNIQUES IN CONTEMPORARY CONTEXTS. AND INVERSELY, WHAT OLD-FASHIONED IMAGING METHODS CAN TELL US ABOUT THE PRESENT. FOLLOWING PROJECT DEALS WITH DECODING POLISH FOLK TRADITIONS, EXPLORING SLAVIC CULTURE AND IS INFORMED BY PAGAN TRADITIONS OF THE PAST THAT DRAW UPON CONNECTION BETWEEN HUMAN AND NATURE. 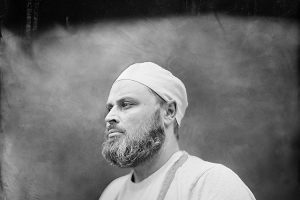 19TH CENTURY LARGE FORMAT PHOTOGRAPHIC TECHNIQUE OF WET PLATE COLLODION USED-VERY TECHNICAL AND CRAFT-BASED IN NATURE-RESULTS IN SINGULAR PHOTOGRAPHIC PLATE. 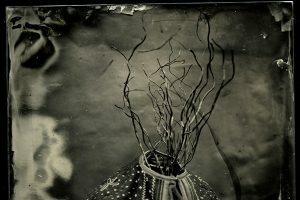 EVERY PHOTOGRAPH HAS ORIGINATED AS PHYSICAL OBJECT, A GLASS PLATE AND IS VERY MUCH CONNECTED WITH IDEA OF UNIQUENESS. THAT IDEA IS ALSO VISIBLE IN THE ORIGINAL FOLK GARMENTS: THESE UNIQUE PIECES BEAR THE FORGOTTEN TRADITIONS-THE FIGURE OF MYTHOLOGICAL TUROŃ THAT WELCOMED A NEW YEAR OR TRADITIONAL COSTUMES FROM CRACOW USED DURING WEDDING CEREMONIES – ARE AUTHENTIC RITUAL GARMENTS TAKEN FROM THE CLOSETS OF POLISH MUSEUMS AND SMALL CULTURAL CENTERS ALLOW TO DRAW UPON OUR IMAGINATION AND REIMAGINE POLISH FOLK. 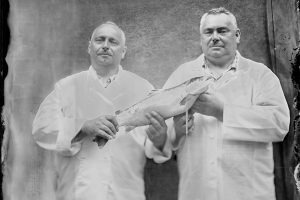 THIS SERIES OF AMBROTYPES EXPLORES THEN RELEVANCE OF CRAFT IN TODAY SOCIETY THROUGH PORTRAITS OF POLISH CRAFTERS BASED IN CITY OF POZNAN. 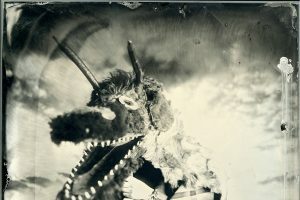 USING 19TH CENTURY WET PLATE COLLODION TECHNIQUE THAT IS A MIXTURE OF SILVER, LIGHT AND SKILLED MANUAL LABOUR, I WANTED TO BRING BACK THE SIGNIFICANCE OF THIS CRAFT THAT ALSO ALLOWED ME TO FIND A COMMON LANGUAGE WITH THE CRAFTERS. 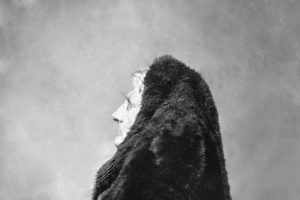 DRAWING GREAT INSPIRATION FROM AUGUST SANDER WHO USED LARGE FORMAT PHOTOGRAPHY TO CREATE PORTRAITS OF GERMAN SOCIETY, THIS SERIES OF TIMELESS PORTRAITS REFLECTS ON THE WORKING MAN. 13.08.1993, born in Skarzysko-Kamienna. In 2015 obtained Bachelor’s degree in Photography at the University of Arts in Poznań, Poland. In 2018 obtained Master’s Degree in Photography at University of Arts London. 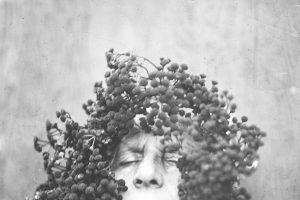 Polish photographer currently and workshop leader based in London mostly interested in exploring cyclical nature of human rituals by utilizing historical photographic technique of wet plate collodion, using contexts of identity, memory and ethnological investigation. My work was a subject of individual exhibitions in various part of the world: 2016 at Circulation(s) Festival in Paris, in 2017 my works commissioned by Photography and the Archive Research Centre were exhibited in solo exhibition at LCC, London. 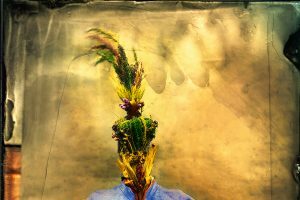 Leading alternative and historical photographic techniques workshops (cyanotype, wet plate collodion, pinhole photography, gum bichromate, anthotype, gelatin silver printing and others) in UK and PL. Collaborated with various acclaimed art institutions and galleries, such as British Museum, University of Arts London, Spike Printing Studio in Bristol, Four Corners Gallery.